In the early game at (HKFC) a new look KNS-A beat HKFC-B 7-3. Inderpal Singh now playing for KNS scored twice. Jacky Chan has also joined KNS-A from Kowloon Cricket Club (KCC). In the later match HKFC-A took on KCC-A. HKFC-A have also made changes during the summer months, Ishtiaq Ahmed and Arif Ali have both moved over from Khalsa-A to HKFC-A and scored 2 goals and 3 goals respectively in this match. HKFC_A won the match 12-0 taking 6 goals in each half. KCC with a somewhat changed team performed quite well for the first match, but relied heavily on the defensive skills and ball distribution of Ahmed Ewis, playing as backstop. At King’s Park Shaheen-A had a close match with HKCC-A but came away 2-1 winners, while in the later game, Valley-A lost 1-9 to SSSC-A. The results remap the table last year showing strength in HKFC-A, SSSC-A and KNS-A with Shaheen also on 3 points after the first match. A new electronic reporting system introduced this year allows match officials to transmit match results directly to the website, providing much improved reporting of results. 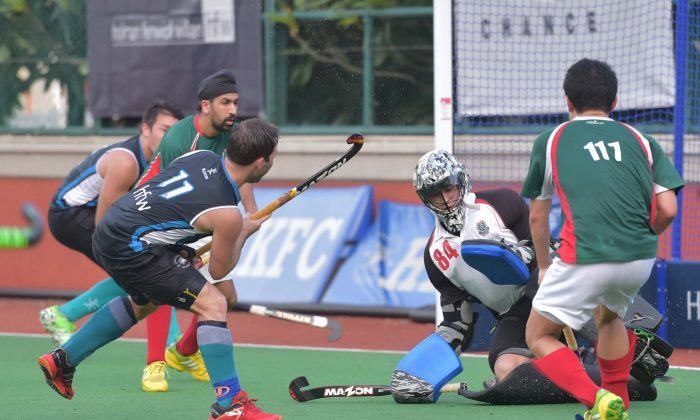 On Sunday Sept 18 a full schedule of 5 matches are planned with Khalsa-A playing f HKFC-B and HKFC-A playing HKCC-C at HKFC and KCC-A vs Valley-A, SSSC-A against Pak-A and KNS-A against Shaheen-A at King’s Park.